Activision and Treyarch held a large event and live stream on Thursday to reveal Call of Duty: Black Ops 4, showing off gameplay in the form of multiple trailers. Portions of the game’s multiplayer were also hands-on for journalists and influencers who were at the event, located in Los Angeles, Calif. They showed off new changes and additions to the core gameplay itself, as well as changes to the multiplayer and Zombies modes. Two of the biggest, yet still unsurprising reveals to come out of the event were the addition of a new battle royale mode and the game’s straying away from a traditional single-player campaign. Both of these tidbits had been rumored for the past month or so. Yet, now we know that they exist and, more or less, how they’ll function—to a certain point. The battle royale mode was announced in a trailer and the mode itself is called “Blackout,” featuring a map that is 1,500 times the size of the average Call of Duty map. Along with the larger map-size, the mode will feature playable characters from the Black Ops series’ campaigns/Zombies modes/multiplayer, and various weapons and tools from the Black Ops series. Sea, land and air vehicles will be available in some form or another, and the map will be pieced together by meshing various maps from the entire Black Ops multiplayer oeuvre. Not much else is known about this mode as of now, but the trailer for it sets the mode’s tone well enough. The Zombies mode is getting a complete overhaul, featuring a brand-new world, characters and storyline. New types of enemies will present unique challenges, as well. The mode will be getting three maps at launch: IX, Voyage of Despair and Blood of the Dead. The first two were given cinematic trailers that set the individual tones for each map, each map’s lore and how the characters interact with the map, to an extent. The third map, Blood of the Dead, was teased but not fully shown. In addition to three maps at launch, the new Zombies mode will feature difficulty levels and a custom mode with over 100 options to cater the experience to the player’s liking. Online challenges in the form of “Callings” will also be a core part of the mode and more information about Black Ops 4’s new Zombies mode will be revealed later this summer. 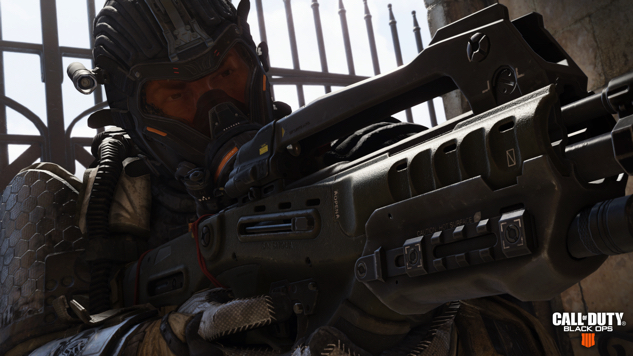 The rumors that Black Ops 4 will not have a traditional single-player mode turned out to be true, as the game’s version of a single-player experience is sets of solo missions set to expand the “multiplayer universe.” According to Treyarch’s co-studio head, Dan Bunting, “These missions will be fun and fast-paced trials that give a hands-on introduction to these new and returning Specialists.” The solo missions and multiplayer alike, lore-wise, take place between the events of Call of Duty: Black Ops 2 and Call of Duty: Black Ops 3. As for the game’s bread and butter, the core player vs. player multiplayer experience has seen some revamps, as well. Biggest of all, the game does not feature regenerating health in hopes that the player will think more tactically in regards to combat encounters and spatial awareness with the map, and the science-fiction elements have been toned down in comparison to the last Black Ops title. There are no more exoskeletons, and wall-running/boost-jumping do not present themselves as mobility options in the game. The presence of Specialist classes returns as well (see trailer above), previously seen in Black Ops 3. The return of Specialists means that teamwork takes precedence in that Specialist abilities support and complement one another, so a well-chosen team that plays as such will be a formidable force to be reckoned with. Synergy is the operative word in Black Ops 4’s multiplayer. The mini-map features a fog-of-war element now in order to cut back the player focus on the mini-map as an absolute key for survival. It is all about a “guns up” mentality and maintaining a consistent spatial awareness of the environment and those who exist within it. Weapons themselves have been overhauled as well, as each weapon has its own type of an attachment—an operator mode. This gives each weapon more of a personality and a feel all its own. Predicative recoil patterns have made their way into the game as well so that players can truly learn the ins and outs of weapons in order to truly master them in a PvP context. Call of Duty: Black Ops 4 will be releasing on Xbox One, Playstation 4 and PC on Oct. 12, 2018. The PC version, which is fully optimized, will be exclusive to Blizzard’s Battle.net service. Also, those who preorder will be granted access to a private beta before the game’s final release. Check out the multiplayer reveal trailer below.